CHICAGO, Sept. 24, 2018 /PRNewswire/ -- Cision® (NYSE: CISN) today announced that Mark Weiner, Chief Insights Officer at Cision, has received the prestigious Jack Felton Medal for Lifetime Achievement for contributions in the advancement of research, measurement and evaluation in public relations and corporate communication. This yearly award given by The Institute for Public Relations (IPR) recognizes individuals who epitomize the philosophic perspectives of Jack Felton, former CEO of IPR who valued research and measurement in the advancement of public relations as a profession. Weiner will receive the award at the IPR Annual Distinguished Lecture and Awards Dinner on November 28, 2018 in New York City. Mark Weiner, Chief Insights Officer, Cision. "The high esteem in which I hold the honor is underscored by my personal and professional admiration for Jack Felton. I'm grateful to the Institute for Public Relations for recognizing my lifetime commitment to our profession," said Weiner. "I am particularly obliged to my colleagues and the clients we serve, from whom I continue to learn." 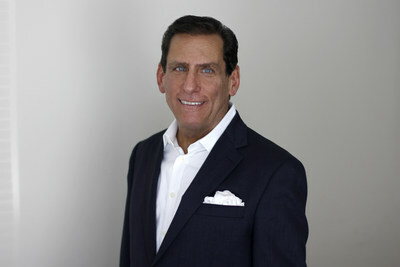 Weiner joined Cision through the company's acquisition of PRIME Research, where he was CEO Americas. As Chief Insights Officer, Weiner will be focused on helping position and drive Cision's outstanding services offerings via Cision Insights, including human-based analysis and machine learning. Weiner brings to Cision his years of experience and steadfast record of helping brands demonstrate a positive return on their investment in corporate and brand communications. Weiner is a prolific author, lecturer and thought leader in the public relations and corporate communications profession. His book titles include "Unleashing the Power of PR: A Contrarian's Guide to Marketing and Communication" published by John Wiley & Sons. His latest whitepaper entitled "Earned Media Uprising: Power PR With A True Approach To Measurement." "Mark is a truly accomplished leader in our industry, with a range of diverse and impactful achievements from the brand side, agency side and the technology side," said Kevin Akeroyd, Cision CEO. "We are pleased to have him as part of the Cision family." Weiner is a member of the Arthur Page Society and sits on the Board of Directors for the Institute for Public Relations, for whom he leads its Commission on Measurement and Evaluation. He is a trustee of the Museum of Public Relations and a member of the University of Florida's Public Relations Advisory council. Cision Ltd. (NYSE : CISN ) is a leading global provider of earned media management software and services to public relations and marketing communications professionals. Cision's software allows modern communicators to target key influencers, distribute strategic content, track and measure meaningful impact through text and images. Cision has over 4,000 employees with offices in 15 countries throughout the Americas, EMEA, and APAC. For more information about its award-winning products and services, including the Cision Communications Cloud®, visit www.cision.com.